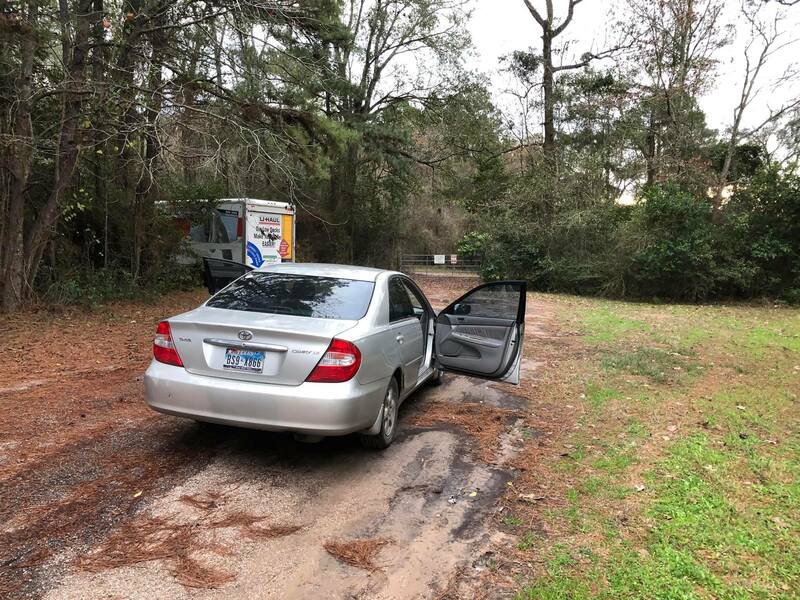 Early this morning, Officers with Splendora Police Department checked out on a couple of suspicious vehicles that were parked in front of a gate which leads to a cellar tower just off First Street. As the officer was approaching the passenger car, one white male took off running into the wood line wearing a black ball cap, grey shirt, and black pants. 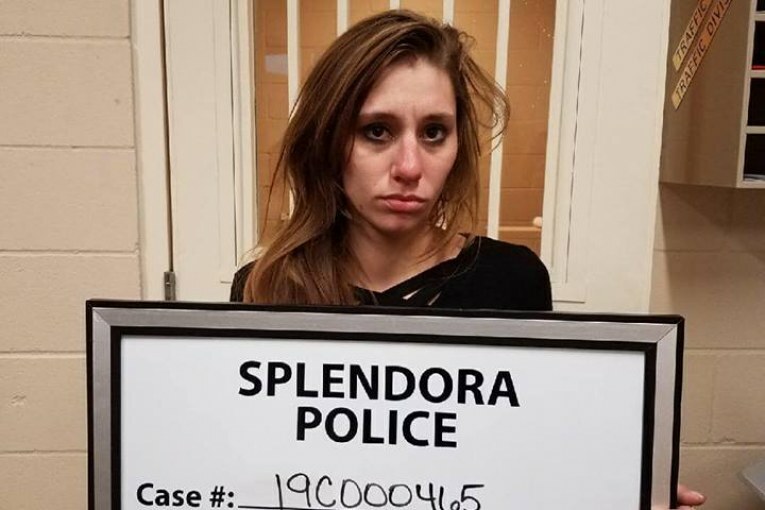 Another male and female, who were still in the passenger car were immediately detained. 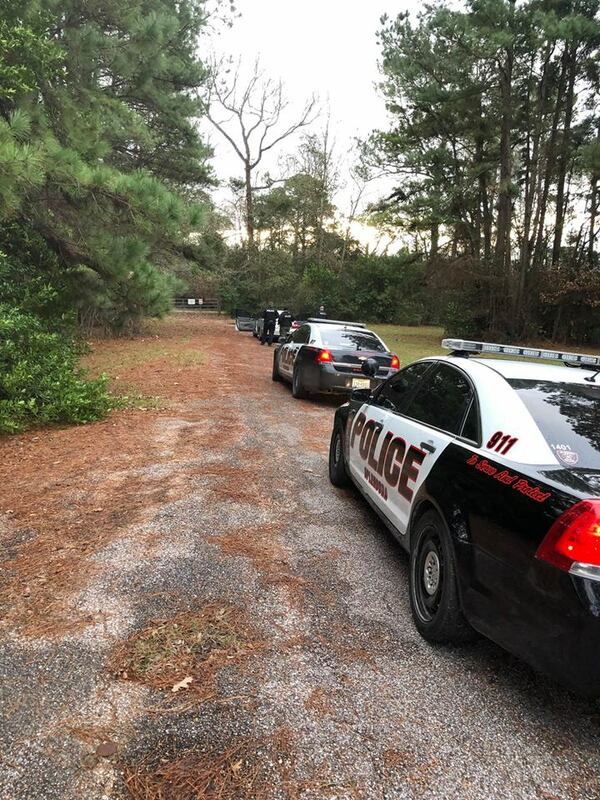 After a perimeter was set up and Splendora’s K-9 was deployed, we believe the male who fled was picked up by someone. 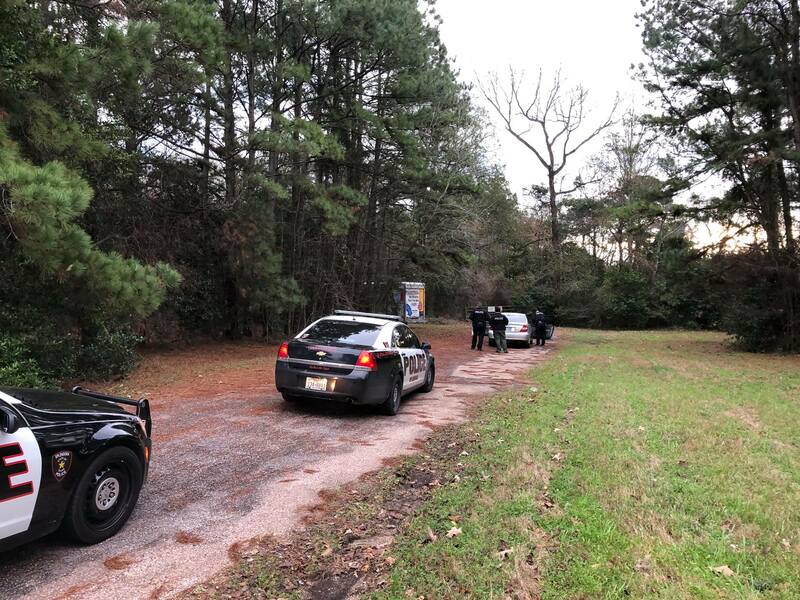 The female was found to be in possession of a prohibited weapon and was taken into custody, the male who was detained was questioned and released. 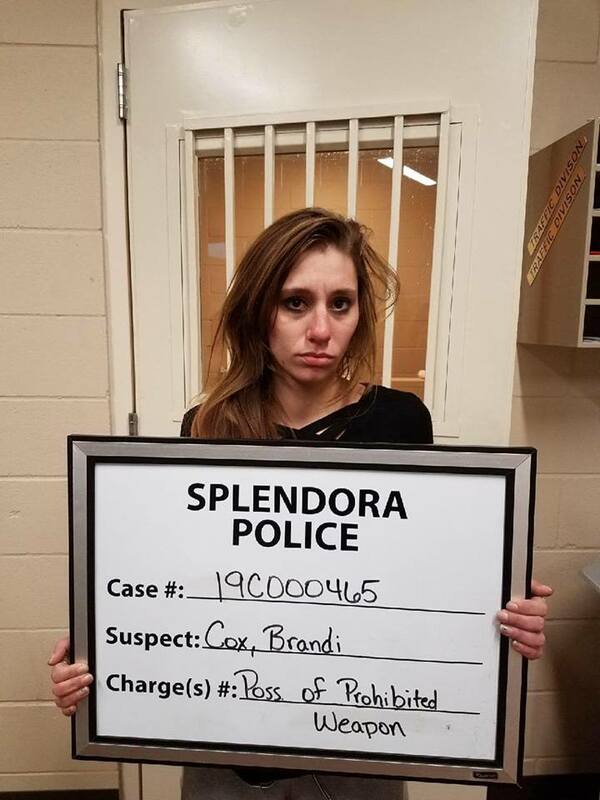 Brandi Cox is being charged with Possession of a prohibited weapon, (brass knuckles with a knife attachment). 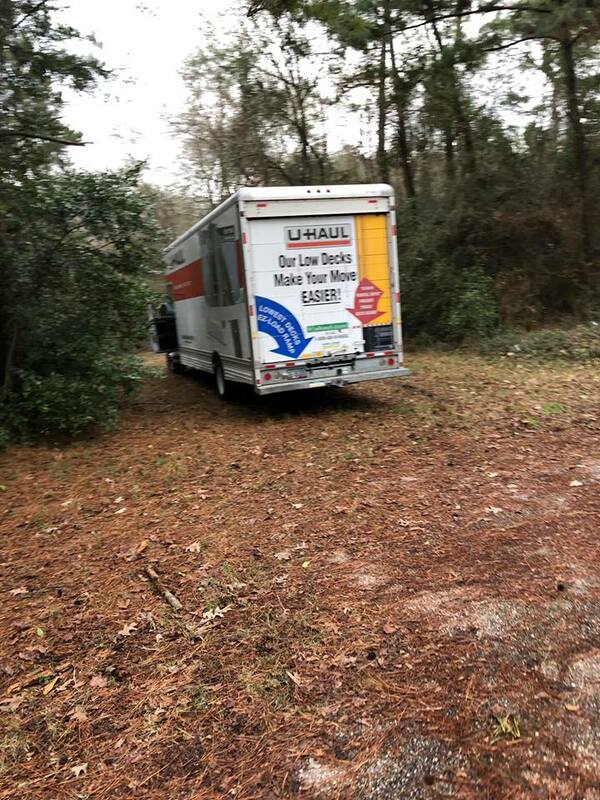 The U-Haul Truck was stolen from Liberty County.